Back in 1953 Ian Fleming commissioned a left-hand-drive Bentley R-Type Continental Fastback in Deep Grey with black leather as a gift for his American friend Ivar Bryce. Ian Fleming and Ivar Bryce had been friends since 1917 and shared the same interests. It was also Ivar Bryce that helped Ian Fleming buy land in Jamaica so he could build his home Goldeneye and start writing James Bond novels. We are meant to believe that Ian Fleming bought this car for Ivar Fleming as a thank you after he had written Casino Royale. Ian Fleming's choice car for his friend later showed up in the book Thunderball were James Bond drove one that looked the same. Gullwing Motor Cars recently discovered the real-life car wasting away in a garage in Hancock Park, Los Angeles for nearly 30 years. 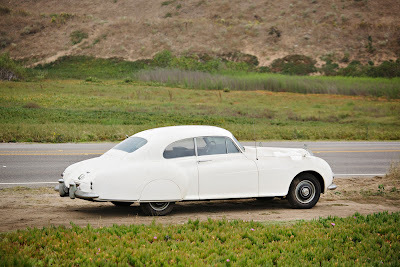 Back in 1953 the Bentley R-Type Continelnal Fastback was one of the fastest production cars in the world. 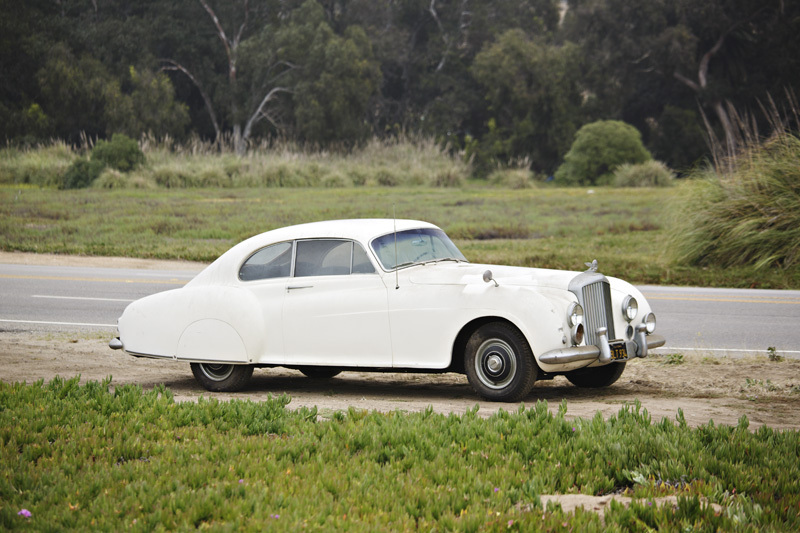 The Continental designation signified a power upgrade over the standard R-Type, and Fleming built it up with extras like rear spats, lightweight seats, fitted luggage, and a racehorse mascot. The Bryces flew their gift around the world to their various homes in England, Nassau, New York, and Vermont. After they sold it the car had several owners, ending up in the hands of a Beverly Hills surgeon in 1978, and according to Gullwing it's been sitting in a garage almost since that time. 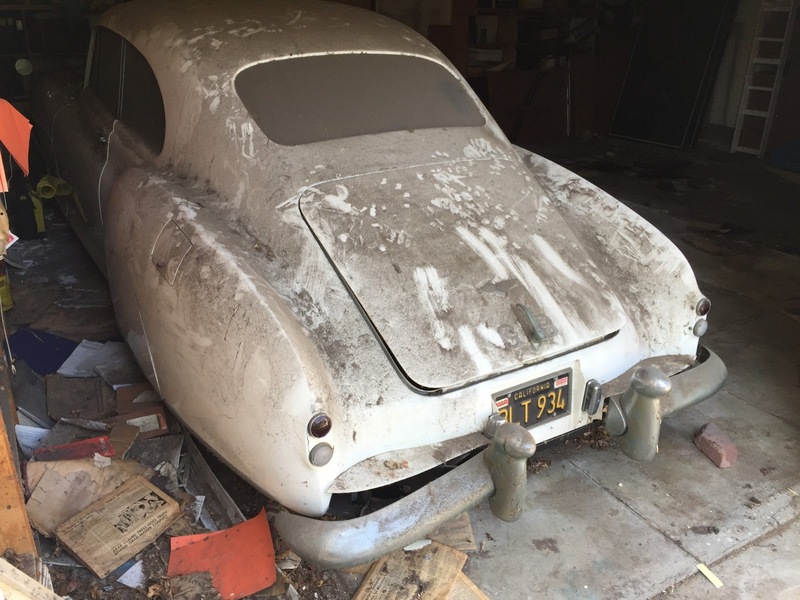 It has matching numbers and the original interior, and Gullwing says, putting it mildly, it is "an ideal restoration candidate." 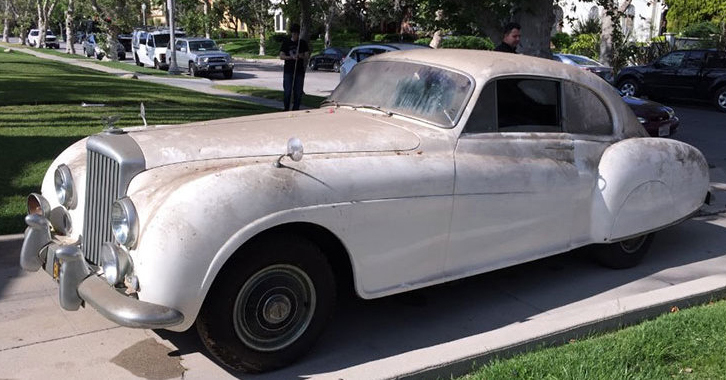 This Ian Fleming related car went on auction this year with an estimate of $1.4M - $1.8M but didn't sell, so don't be afraid to ask a few hard MI6-like questions about it if you're interested. Some of the text from this blog post came from this and this article where the photos has also been taken. 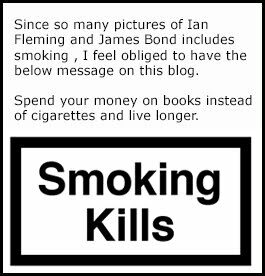 Thanks to Alan over at Collecting Fleming for the heads up.